Google at its Cloud Next conference, announced new investigation tool that gives administrators control over issues concerning cyber-security in the organization. The new G Suite tool makes it possible for admins to know any information that has been shared externally by a user which may have led to an attack, and to take action without sifting through security logs through revoking the access to drives. Also, Google will be adding the ability for organizations to choose whether to store their data locally, or have them distributed around the globe, including United States and UK. While other new features announced, includes AI tools that handles grammar suggestions in Google Docs, so that the software can automatically detect errors. For instance, when a user should use "an" instead of "a," or suggest a subordinate clause. It will allow employees to use AI to write messages and replies, with the Smart Reply, the machine learning algorithm that automatically compose messages in Gmail, and Smart Compose, which helps to autofill longer emails that may require more than just a hasty reply. Google Cloud platform, of which G Suite is a part, also unveiled new artificial intelligence technology called Contact Center AI, which is for call center services, as it is designed to talk to humans over the phone. The Contact Center AI and the controversial AI tool announced in May by Google, called Duplex share some underlying components, albeit they have distinct technology stacks and aims, as Duplex is designed to book restaurant reservations, hair appointments and the like, as well as check business hours and such, using a rather human-like voice. Google's target remains to move its "key business" offerings to the Cloud, of which about 4 million paying businesses are already using G Suite. 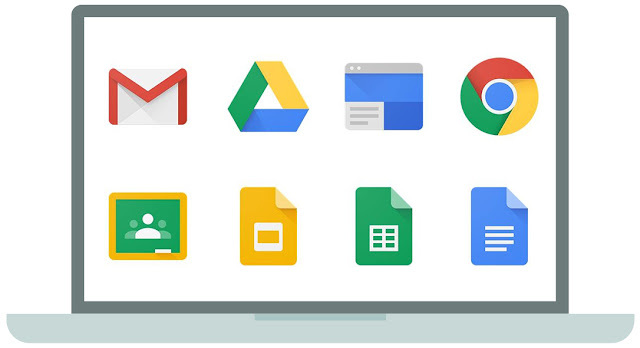 The new feature is now available for G Suite's Early Adopter Program, which program is for users to test new updates.